On Saturday, October 1, 2016, at the UIC Pavilion in Chicago, Warriors Boxing Promotions will resurrect the legendary “Windy City Fight Nights” series of boxing shows with an event featuring a pair of unbeaten locals in separate co-main-events. Headlining the first Windy City Fight Night in four years will be super lightweight Ramiro “El Lobito” Carrillo (11-0, 7 KOs) and super welterweight Achour Esho (11-0, 7 KOs) in eight-round (Carrillo) and six-round (Esho) bouts against opponents to be announced. “I’m very happy and excited to be fighting in the co-main event. I’ve fought in several Windy City Fight Nights and had some great fights. I’m eager to get that rush back that I felt going to war in Chicago in front of my hometown family and friends. This is why I came back to boxing. I want to have big, exciting fights,” said Achour Esho. “I’ve been working very hard for a long time and I’m happy it’s finally coming true. I’ve been dreaming about fighting in a main event in my hometown and it’s finally here. It’s my time to shine. I have a lot of family friends and fans coming out to watch me,” said Ramiro Carrillo. 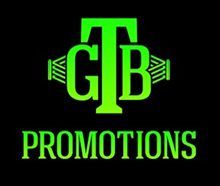 Also appearing in four-round bouts will be thus-far perfect super featherweight Josh Hernandez (3-0, 3 KOs) of Chicago; lightweight Jose Romero (1-2) of Whiting, Indiana; super middleweight Ruben Schobitz 1-0, 1 KO of Miami via Spain; Chicago lightweight Jessica McCaskill (1-1, 1 KO) and Chicago’s Yousif Saleh will make his professional debut. Tickets for Windy City Fight Night are priced at $101, $76, $51 and $36 and are available at Ticketmaster outlets, Ticketmaster.com; by calling 1-800-745-3000, or the Warriors Offices: 312-226-5800 or the UIC Pavilion Box Office: 312-413-5740 or the UIC Box Office (Thursday or Friday 9:00 AM - 4:00 PM) or can be Purchased the night of the event. Windy City Fight Nights were conceived and presented by Warriors Boxing Vice President Dominic Pesoli to introduce and develop local boxing talent. Windy City Fight Nights featured a number of up-and-coming fighters, including nearly all of professional boxing’s current champions and top contenders from the Chicago area including top-rated local talent as Andrzej Fonfara and Adrian Granados, as well as international imports such as current light heavyweight champion Sergei Kovalev. Windy City Fight Night is proudly sponsored by Estrella Jalisco and Bud Light, Unanimous Boxing Gym, Star Auto Body and Repair, and Volver Mexican Cantina & Grill. On fight night, the action starts at 7:30 pm. The UIC Pavilion is located at 525 S. Racine Avenue in Chicago. The entire bout card is subject to change.